Say the word “cloud” in a room full of IT professionals and you will likely be met with a mixed reaction of cheers and jeers. The excitement and uncertainty of the cloud is what makes some IT admins excited but others skeptical. Either way, the cloud is rapidly altering the way organizations operate. 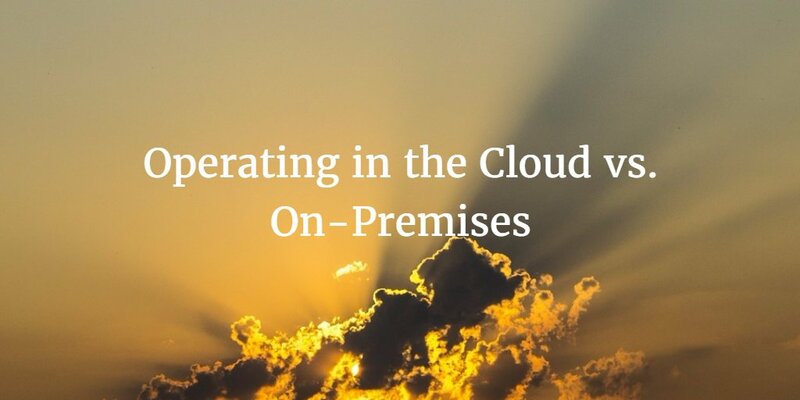 As more and more organizations make the transition to the cloud from on-premises, there is ultimately some confusion and disconnect. This is seen chiefly with big organizations which cannot relinquish the direct control permitted by a full on-premises approach. The idea to keep everything on-premises is entangled in a world of myths and misconceptions. Below we will debunk some of these beliefs, touching specifically upon topics like control, security, and cost-effectiveness. For organizations who have historically managed the traditional on-premises software and infrastructure, the idea of control in the cloud is looked at negatively. These organizations fear it simply cannot control their vast systems. In reality, the concerns over lack of control really only apply to the world’s largest organizations – for example government and heavily regulated organizations. These organizations rely on deeply controlling various components inside a datacenter and server farm that requires a lot of time and effort to maintain and operate. Looking deeper into the concept of control, some organizations still show interest in building their own software solutions. This is born from the need to solve deep proprietary business issues and edge-case needs with bespoke applications. However, SaaS vendors have predominantly removed the need for these apps. The battle of “SaaS vs. Build” is centered around control needs. For example, with cloud servers, it is hard for IT organizations to define the needed hardware configurations. 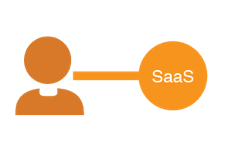 With a SaaS-based application, you rely on the clemency of what software is being implemented or what API’s are open. Cloud providers still lack complete control, but they are amplifying their levels of control every single day. For organizations that are eager to make the move to the cloud the good news is that cloud providers have made great strides in delivering what their customers desire. Extensive growth over the control of platforms is giving way to the emergence of a wider array of trusted, specified software components. For numerous organizations, the belief that the cloud is not secure keeps them locked down with their traditional on-premises infrastructure. With startups churning out remarkable applications their focus rests upon the customer and deployment of new features. Security and the gaping holes these continuous updates leave are allowing the cloud to be a massive target for compromise. This has led to the belief that if a service and its software, servers, and infrastructure are connected directly to the open internet, then they are significantly more vulnerable. Placing everything behind a firewall has been the classic approach – and many believe it still is the only secure approach. There really is no right or wrong answer when it comes to firewall vs. cloud. It all depends on the organization, because in many cases a cloud that is supported by a trusted host provider will be more vigilant than a large organization in monitoring security. The threat of attack is more prevalent for cloud providers, which has led to them dedicating a huge chunk of time and resources to securing their infrastructure. The detailed practices that are forced by regulatory compliance needs extend far beyond what some in-house organizations execute. Securing data, servers, and even applications pushes cloud providers to develop layers of security that internal IT or development organizations simply do not have the time to create. Beyond this, cloud providers also have the benefit of gradually writing off the cost of their security program universally among its customers. In order to face these challenges, cloud providers pull top talent in the world of security. This is a clear benefit for those who make the move, because they will know they are working with the best of the best. Moving to or sticking with the cloud is the best move for an organization if their internal team cannot provide the same top notch effort and time in the face of security threats. For many organizations, the debate always focuses on whether they should own their own infrastructure or have it hosted or SaaS-based. Generally, a lot of organizations have automatically assumed that going to the cloud is far less cost-effective in comparison to on-premises solutions. In the past this assumption was born from the fact companies could use purchased servers and applications over a long period of time. This solution worked well for a while, but in today’s IT world growing compute and application demands are forcing IT organizations to upgrade solutions at a quicker pace. In the end, all of the time spent working on constant upgrades and functionality improvements adds up to a hefty sum. This price is further escalated by maintenance and management, as well as the needs of production-level staffing in guaranteeing uptime and availability. On the other side of this equation is the cloud providers and their hosted solutions. In terms of monitoring systems and technological mechanisms, these providers have some of the most advanced in the game. With sophisticated recovery, failover, elasticity, performance, and availability, these providers can deliver everything on-premises solutions promise. Maintaining all of these systems is constant with cloud providers, with high levels of support that would be costly for organizations to implement internally. One of the major benefits for going with these providers rests in the pay-as-you-go structure. Instead of paying up-front and tying down cash with infrastructure, an organization can put the money they have to work for them. When calculating the ROI for cloud providers it is very likely this solution will end up being more cost effective than on-premises solutions. The entire process of migrating to the cloud is tricky when looking at all the variables. Control, security, and costs are always on top of an organization’s mind, but each one weighs more or less depending on the unique scenario. No matter how you look at it there is a very strong case for making the move, as it will only become more prevalent. To learn about how JumpCloud’s Directory-as-a-ServiceⓇ can help make your move to the cloud easier, contact us here. If you would like to give our solutions a try for yourself, feel free to sign up for a free account and get started today – your first ten users are free forever.